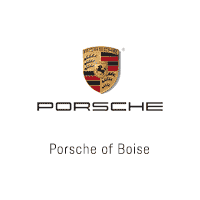 At Porsche of Boise, we deliver the highest level of professionalism and commitment to customer satisfaction to everyone. For over 49 years, Lyle Pearson Company has been the premier automotive group in the Treasure Valley. Lyle Pearson came to Boise in 1969 and opened the Mercedes-Benz and Volvo stores. Now the premier auto complex has six franchises. Jim Cross, son-in-law of Lyle Pearson, now owner and General Manager of the company is dedicated to the late Lyle Pearson’s vision of always taking care of his employees, community and customers. The company is involved in many charitable events benefiting the Treasure Valley and beyond. Every employee is committed to taking care of everyone. Whether you are here for sales, service or parts we want to put your needs first. The Company is actively involved in the community. Events like the Mercedes-Benz Golf Tournament benefiting the Boys and Girls Club, various benefits for the Chrysalis Women’s Transitional Living, The Boise Rescue Mission, and numerous others. In all, there are over 30 events the auto dealership is involved with to support the community. Lyle Pearson Company is actively involved in the Silver Sage Porsche Club, Land Rover owner tours and various other owner events in support of their owners. Check out YouTube to see some of these exciting events. With over 100 employees, Lyle Pearson Company is helping the community with invaluable jobs and impacting other areas. Most of the employees have been with the company for over 10 years giving them the experience and knowledge to help all of our guests. With some of the industries finest new and pre-owned vehicles to choose from, you can find just what you are looking for without going anywhere else. If you can’t find it, then we have a locator service to help assist you in finding just the right one. Doesn’t it just make sense to choose Lyle Pearson Company!